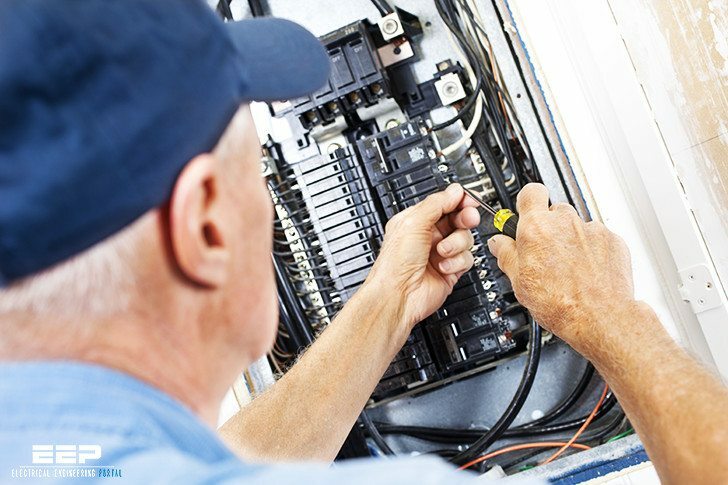 The primary role of an electrician is the installation of electrical circuits and applications. In order to install any type of application, however, it is vital that from the start of your career you are able to put together basic circuitry. This requires knowledge of all parts of the electrical circuit, from the source of supply to the load. 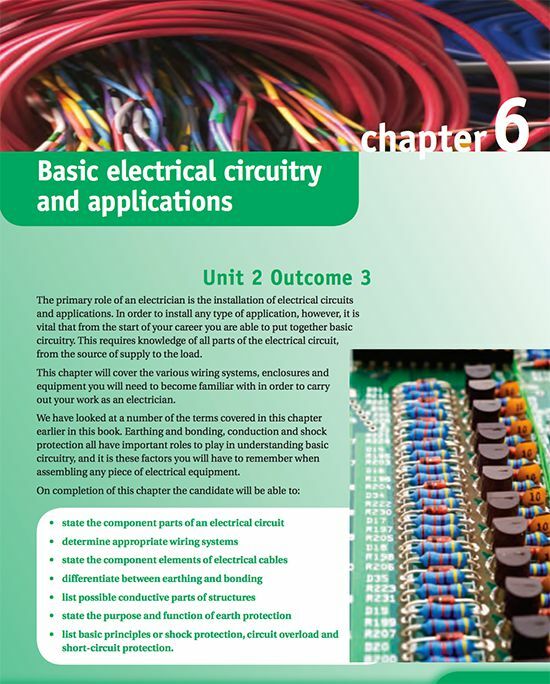 This chapter will cover the various wiring systems, enclosures and equipment you will need to become familiar with in order to carry out your work as an electrician. Often a circuit is thought of as being the load and the conductors supplying the load. However in reality they are only part of the circuit. In order for current to flow two conditions have to be met. There has to be a potential difference applied across the circuit (voltage). There has to be a complete circuit (circle) for current to flow around. The source of supply can be AC or DC. If a DC supply is required, then this is derived from a battery. For an AC supply, either an a.c. generator or a DC generator with electrical components to rectify the supply, can be used. An AC supply can be obtained directly from the mains. Single phase 230 V or three phase 400 V are those generally available in the UK. The size and type of voltage required for the supply is determined by the load equipment to be used. All electrical equipment will have a plate attached to it indicating its safe working voltage. The circuit conductors are those parts of the circuit which the current passes through. These are the cables. Cables have two components to them. One is the conductor itself. This is usually made of copper. The other part is insulation, usually made from PVC, which forms a sheath around the conductor. Prevent users of the circuit from coming into contact with the conductors and receiving an electric shock. The type of insulation required is determined by the voltage which is to be applied to the cable. Cables come as either single or multicore cables. Both have an overall sheath to keep all the associated cables together and to provide a minimal degree of mechanical protection. Appendix 4 of BS 7671 gives details on the sizes and types of cables available to us.